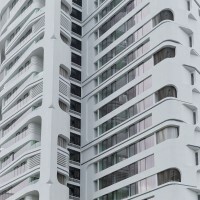 UNStudio have designed the Ardmore Residence, a residential tower located in Singapore. 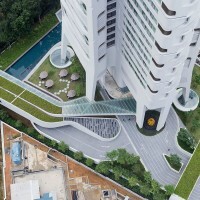 In recent years high-rise residential towers is Asia have undergone a significant transformation. 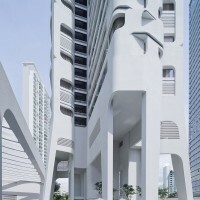 No longer only mass replicated tower blocks dot the skyline of most Asian cities, a new generation of bespoke towers now provide aesthetic, singular silhouettes and incorporate comfortable living spaces, attractive landscaped gardens and an array of amenities for residents. 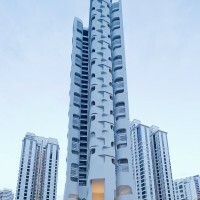 The Ardmore Residence at 7 Ardmore Park in Singapore is one of this new breed of residential towers. 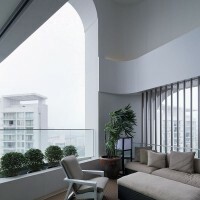 Located in a prime location close to the Orchard Road luxury shopping district the Ardmore Residence enjoys both expansive views of the panoramic cityscape of Singapore City and the vast green areas of its immediate western and eastern surroundings. 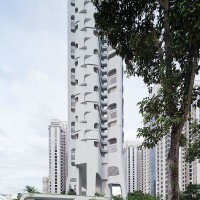 The primary concept for the design of the 36 storey, 17.178 m² residential tower is a multi-layered architectural response to the natural landscape inherent to the ‘Garden City’ of Singapore. 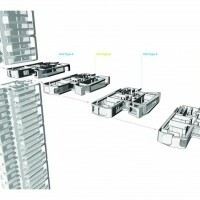 This landscape concept is integrated into the design by means of four large details: the articulation of the facade, which through its detailing creates various organic textures and patterns; expansive views across the city made possible by large glazed areas, bay windows and double-height balconies; the interior ‘living landscape’ concept adopted for the design of the two apartment types and the introduction of transparency and connectivity to the ground level gardens by means of a raised structure supported by an open framework. 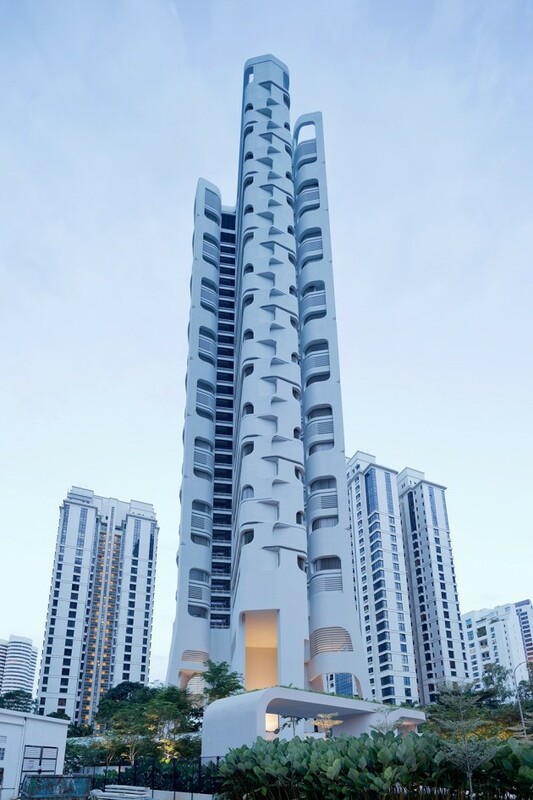 The facade of the Ardmore Residence is derived from micro-design features which interweave structural elements, such as bay windows and balconies into one continuous line. 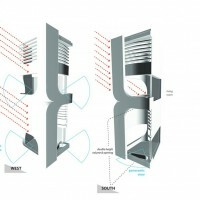 The facade pattern is repeated for every four storeys of the building, whilst rounded glass creates column-free corners, visually merging the internal spaces with the external balconies. 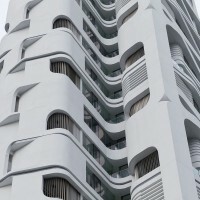 Intertwining lines and surfaces wrap the apartments, seamlessly incorporating sun screening, whilst also ensuring that the inner qualities of the apartments and the outer appearance of the building together form a unified whole. 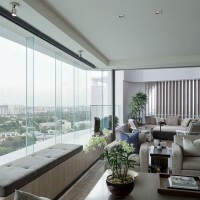 The apartments in the Ardmore Residence embody the idea of a ‘living landscape’. 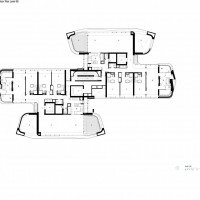 Functional spaces are redefined and extended into the living landscape concept, offering the possibility for versatile functionality for the occupants. An indoor-outdoor living experience is achieved through the inclusion of large windows and double height balconies in all of the residences. 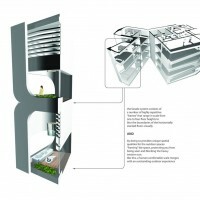 The first residential level of the Ardmore Residence is located on the eighth storey of the building. 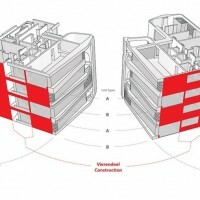 An open framework is therefore introduced at the base of the raised tower which enables full connectivity and transparency across the ground level landscaping, while simultaneously organising the shared amenity facilities.